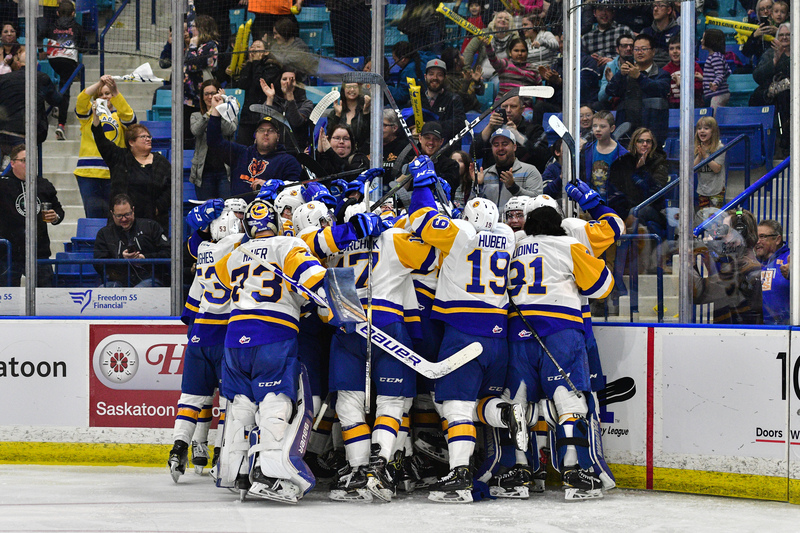 Chase Wouters scored 3:23 into the first overtime period on Friday night to give the Saskatoon Blades their first playoff win since the Spring of 2011. 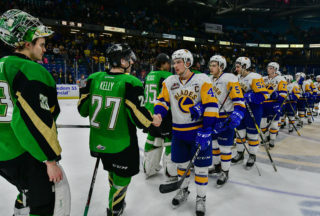 The Blades downed the Moose Jaw Warriors 3-2 in front of 5193 fans at SaskTel Centre to take a 1-0 series in the Eastern Conference Quarterfinal series. Neither team found the back of the net in the first period as Nolan Maier made 14 saves for Saskatoon and Brodan Salmond 11 for Moose Jaw. 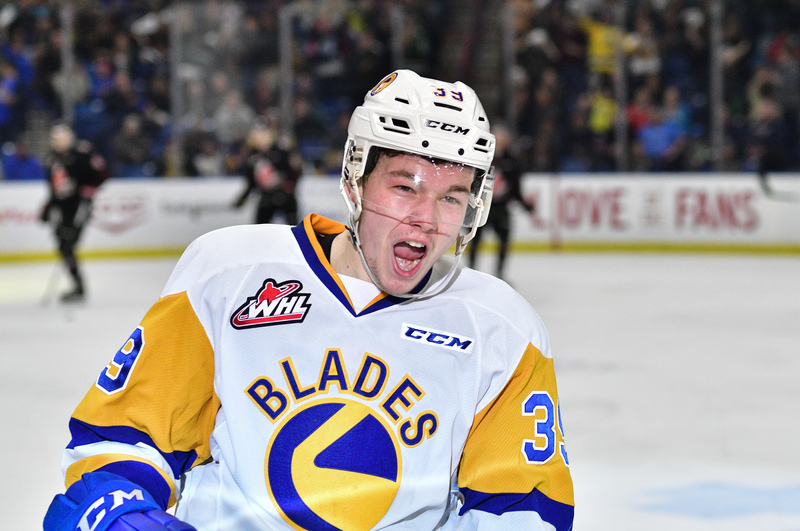 The Blades did however kill off two Moose Jaw power plays in the opening frame. 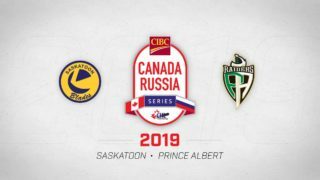 In the second period the visitors opened the scoring through Kaeden Taphorn who banged in a rebound in front of fellow Yorkton, Saskatchewan, product Nolan Maier. 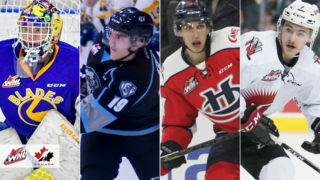 Just 1:31 later, affiliate player and recently turned 16-year-old forward Eric Alarie increased the Moose Jaw lead to 2-0 with his first career goal in the Western Hockey League in just his third ever game. The Blades would respond minutes later on their first power play of the night. Nolan Kneen fired a point shot through traffic that ricocheted off of Tristen Robins and landed right in the wheel house of Max Gerlach. The “Texan Sniper” made no mistake with a one-timer up over the glove of Salmond to cut the Warriors’ lead to 2-1. Saskatoon outshot Moose Jaw 14-6 in the second period. Saskatoon upped the tempo in third stanza throwing pucks from everywhere towards the Moose Jaw goal before it eventually paid off. Brandon Schuldhaus fired a shot from the right-side point which was deflected by Kirby Dach. The disc then bounced to the left of the Moose Jaw goal where Riley McKay pounced and shot far-side as Brodan Salmond was sliding the other way in his crease. McKay’s first career playoff goal came in timely fashion to tie the contest at 2-2 with 8:12 remaining in regulation time. 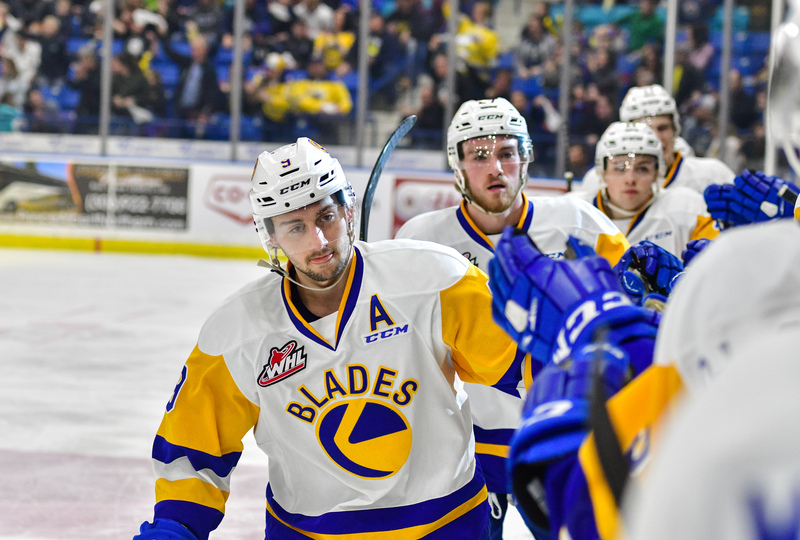 Once again the Blades dominated on the shot clock in the third period outshooting the Warriors 10-2. 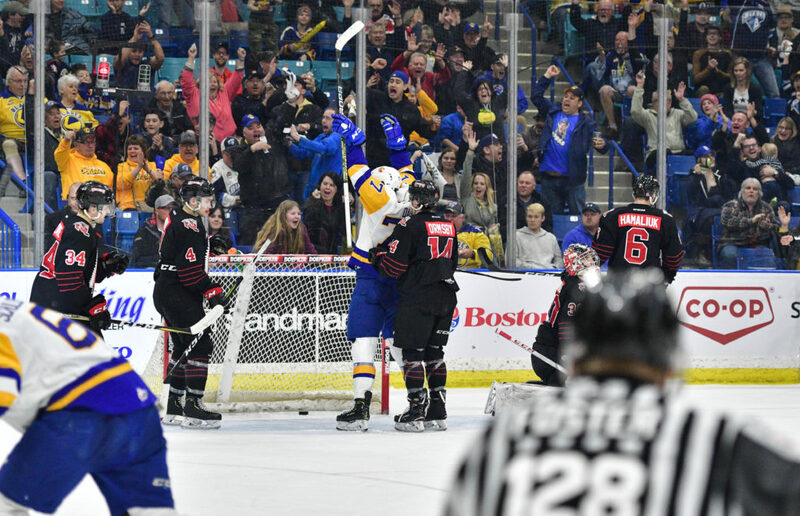 18-year-old captain Chase Wouters, who was playing in his first career playoff game in the WHL, took matters into his own hands in the extra period. Wouters entered the Moose Jaw zone on his off wing and threw a backhand shot from a sharp angle towards the Moose Jaw goal. The puck found it’s way in between Salmond and the post and the red light lit up sending SaskTel Centre into a frenzy. Gary Haden and Brandon Schuldhaus picked up assists on the game winner. Nolan Maier made 21 saves to earn his first career post-season victory, while Brodan Salmond was tagged with the loss for Moose Jaw despite a 35 save effort. 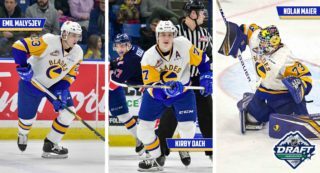 Game 2 of the series goes at 7:00pm on Saturday night at SaskTel Centre. 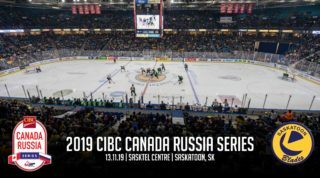 Tickets are available online or at the SaskTel Centre box office.